Baguette cut half diamond set eternity ring, set with 0.25cts across a 3mm wide band with a precision channel setting. 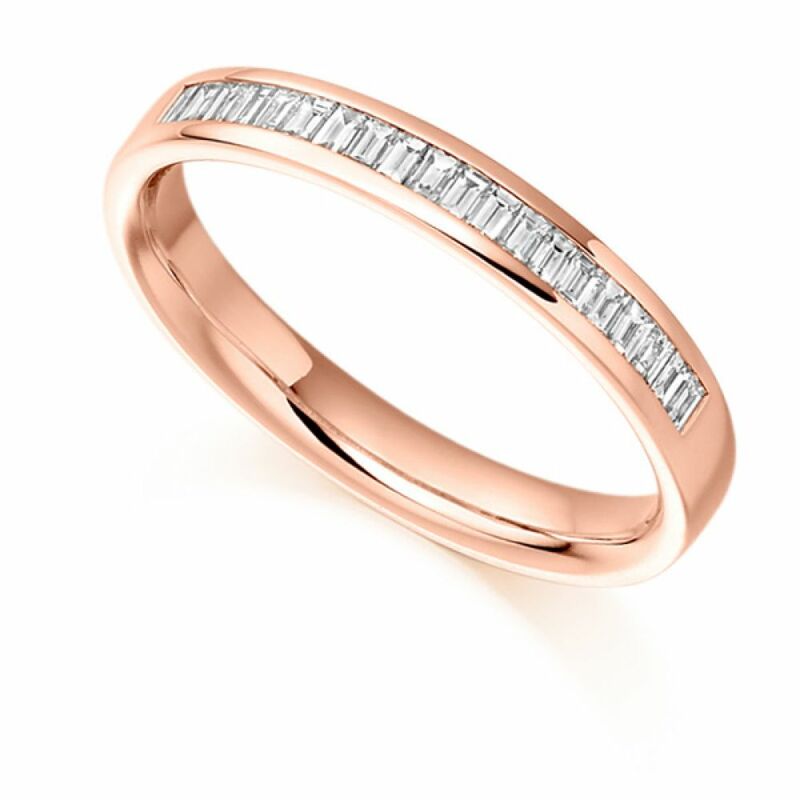 This classic half set Eternity Ring features vertical set Baguette cut Diamonds that sparkle with intensity. Each Diamond has been graded F Colour for brilliant whiteness and VS1 Clarity for exceptional purity, prior to being expertly matched and precision set into a court profile band. The Diamonds are expertly set into a channel for added security to everyday wear. Available to arrive at your door by secure courier within 4 weeks. Select your personalised option of precious metals including 18ct White Gold, 18ct Yellow Gold, 18ct Rose Gold, 950 Palladium, and 950 Platinum.